Divine Masculine and Divine Feminine are archetypes that exist in all relationships between twin flames. This is a divine union and/or sacred union, and the joint energies brings about an awakening. The Divine Feminine and Divine Masculine bring with them different traits to the divine union. The balancing of their energies creates a harmonious platform and basis for the relationship itself. This does not mean twin flame relationship can only be heterosexual. Many homosexual and transgender people also experience the divine union. The Divine Feminine yearns to be united with the Divine Masculine, but not because she is missing a part of herself, as she is whole on her own. She is loving, supportive, intuitive and a nurturer. We consider the Divine Feminine to possess the goddess energy, from which all things grow. She is encouraging, kind, and patient. The Divine Masculine has a desire for the sacred union, just like the Divine Feminine. He too is whole on his own yet seeks to have his life complimented as well. The Divine Masculine possesses confidence, not arrogance, and will be more of a mentor than a bully. The Divine Masculine makes use of their logical nature, and is very disciplined and rational. They are even-tempered, and loyal. They are trustworthy and have integrity. Ours is a dualistic Universe, where yin and yang must coexist. There is good and evil, happiness and sadness, fairness and injustice, and lightness and darkness. It is the same with a twin flame relationship, there must be the masculine and the feminine. The divine union of these different energies creates a very powerful relationship. The number 11:11, commonly associated with twin flames, represents the twins coming together to form the divine union. Each twin is complete on their own and will individually have masculine and feminine traits within themselves. The number 11 is indicative of the balance between both feminine as masculine energy of each twin. 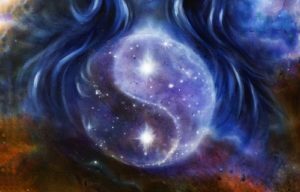 For the twin flames to continue on their journey together, they must each individually be able to keep that balance of both the divine masculine and divine feminine energies. This is no easy feat. It becomes easier for each person when they merge as a couple. This is in part because they are mirrors of one another. You can have many soulmates in one lifetime, but only one twin flame. We will delve further into the topics of the Divine Union, Sacred Union, Divine Masculine and divine Feminine in future posts so subscribe to our mailing list to be notified when new articles are posted. Some sectors of shamanism believe that in the afterlife, you form a somewhat type of new being, uniting a group of twin flames together. 11:11:11. These beings form a synchronicity of love light and peace with their True Will working in the same vibrational frequencies.